As we well know, in March of this year, Japan joined other Western countries in enacting sanctions against the Russian Federation in response to Russia’s annexation of Crimea. The Japanese Foreign Minister said that its government is freezing their investments in Russia, (which in the best of times does not exceed Ukraine’s gas debt in favor of Russia) as well as suspending cooperation in space exploration, and in addition suspending the Agreement on the Prevention of Dangerous Military activities (which effectively means that Russian strategic flights near the country of the Rising Sun currently have no restrictions). In so much as nobody is impressed by Japanese sanctions in Russia, the government of Japan decided to enact further measures with the hopes of strengthening them. New measures include the temporary suspension on the issuance of entry visas to 23 representatives of the Russian government, officials and others. One has only to imagine how swollen with pride several of these representatives must be to be included in such measures. Maybe someone from this list prohibited from entry into Japan may wish to visit the Fukushima Nuclear Power Plant? 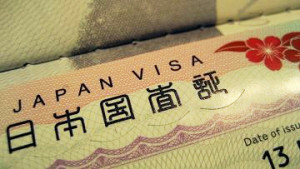 Let Japan deny visa-free travel with Russia in support of this matter over Ukraine. That would be a real blow to the Kremlin. It doesn’t seem at the moment that Russia and Japan can maintain friendly, relations, there always seems to be something preventing it, be it the island itself, or the peninsula, or rather Washington with its own interpretation of democracy. According to the newspaper Vedomosti, Russian Railways have not been purchasing foreign rails since January of this calendar year. At the end of 2013 “Trading House Russian Railways” explored possibilities in the acquisition of Japanese Nippon Steel in 2014, but in the end decided against it. Instead of import, Russian Railways will procure rails from Evraz and “Mechel”. And as of 2013, the company Evraz began producing 100-meter tracks which have been the subject imports. An Evraz representative declined to comment on the situation. Coincidently, a representative of Nippon Steel also declined to respond to questions related to this subject, obviously he was offended. Japan may still refuse delivery of Russian LNG (liquefied Natural Gas) and oil, whose share in total imports of hydrocarbons as of 2013 was 6.9 % for oil (per JOGMEC) and 9.8 % for LNG. Not so little, is not it? “We can diversify our energy imports with the assistance of Russia, for which we are grateful” remarked the deputy director of the Japan National Oil Corporation, Gas and Metals (JOGMEC) Daisuke Harada. And he is absolutely right, the diversification of imports or exports always means only one thing, it serves to reduce the country’s dependence on other countries. But the refusal to accept Russian energy becomes more or less an act of vengeance by Tokyo to Russia over the whole Crimea situation. But what does the Crimea, Ukraine, or Syktyvkar for that matter actually mean to Japan? Tokyo is to Hecuba as Hecuba is to Tokyo? In Japan there are enough people who understand that the Crimea and the land of the Rising Sun are not connected by anything. The former president of the consulting firm McKinsey Japan, Kenichi Oomae’s publicist, in an article written for the May issue of the journal SAPIO remarked, “Realizing the complexity of the situation in Ukraine, we Japanese must not shake on one horse for the American back, shouting, Russia is behaving poorly, therefore we must enact sanctions!” The Japanese government would rationally embark on the path of economic sanctions”. Why has Tokyo embarked on the bumpy ride of sanctions? The answer is very simple. It was ordered to do so by Washington. The military and political dependence of Japan on the United States is a long and sorted history dating back to 1853/54 with a visit of squadron Commodore Perry. In Japan at that time occurred some developments, in particular, came the era of Meiji industrialization of the country (at the expense of the Anglo-American capital), feverish military construction and their first military expedition to Manchuria, Korea and Taiwan. Japan’s importance to the United States is primarily geopolitical. She plays the role of watchdog, guarding against reaches of Russia and China to the Pacific. During the 2nd World War, this guard dog escaped and inflicted a fierce bite on its benefactor. It ended in a nuclear bombardment of civilians in Hiroshima and Nagasaki. Teach her a lesson; after which Japan became much more sensitive and responsive to the wishes of Washington. It’s impossible to say that the White House did not tend to the needs of its faithful squire. Since the Second World War the workforce in Japan costs mere cents, the United States is actively subsidizing industrial development here and has opened American markets for Japanese corporations. The same is happening now with China, but between China and Japan there is a huge difference, and it seems that this time Uncle Sam made ​​a big mistake. Washington cannot (for quite objective reasons) control Beijing to the same extent that it controlled (and continues to do so) Tokyo. On May 28, President Obama spoke at West Point, where he decided to share with the world his thoughts about the unlimited power of the United States and their ability to arrange the “iron curtain” for anyone. Obama said: “Our ability to shape world opinion allowed us to immediately isolate Russia. Through American leadership, the world immediately condemned the actions of Russia, the EU and the countries of the “Big Seven” joined us in imposing sanctions, NATO has strengthened our presence with our Eastern European allies … etc. Who would have thought that the spirit of Winston Churchill would resurface in this thin son emerging out of Kenya, not born in the Southern U.S. and in general having no direct links to the cotton plantations? Naturally, the descendants of the Japanese samurai had to join the sanctions instigated by Washington to further isolate Russia, although, it should be understood that in them there isn’t the slightest need. Strictly speaking, no one else has a similar necessity, and even with these very Americans themselves, it does not fly well for them in the end, to the International Space Station on a witch’s broom. Here it becomes more a matter of principle. Many more people want to choose a president such as Putin and very few want Obama. Barack decided to show that his Kung Fu is better and that his country will be a world leader for at least another hundred years because it possess the strongest army (huge military spending and incredible national debt), the most dynamic economy (i.e. well able to take off and plummet), attracts immigrants from all over the world (ahead of them those who were carried in the holds of slave ships). And yet another pearl of wisdom from the speech of the American president, “When … masked men occupy the buildings in Ukraine, the world looks to America waiting for her assistance” so said Obama. Just words, of course, they were beautiful. But it is unclear who this descendant of the Kenyan expat has in mind, the Nazis at the Maidan in Kiev or the resistance from Donetsk and Luhansk? They all prefer to go in disguise. In conclusion, this entire farce of sanctions is more like a commotion in a chicken coop with a whole lot of crowing and cackling than a serious event. Priority Number 1 of those imposing sanctions is in reality not to damage Russia, but to minimize any self-inflicted losses. Japan is not an exception in any case. Konstantin Penzev is an author and historian, contributing columnist for “The New Eastern Outlook”.